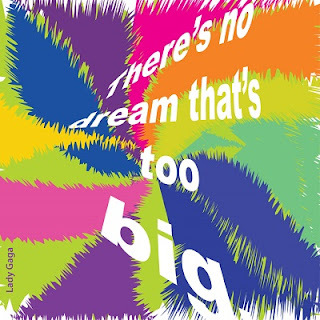 I loved my holiday card for this year, a card with a quote from Lady Gaga, “There’s no dream that’s too big.” As I sat at the breakfast table, thinking about what that phrase meant, the dream catcher in our kitchen window caught my eye. The dream catcher is a neo-traditional Native American object whose name means “spider” in the Chippewa culture. It is a hand-made object based on a willow hoop over which is woven a loose net or web. While dream catchers were adopted by the Ojibawa (Chippewa) Nation, their use was embraced by Native Americans of many nations. Traditionally, Native Americans hang the dream catcher above the bed to “catch the bad dreams” in the web and allow only good dreams to pass through. The dream catcher in our window was a gift from our youngest daughter, Toni, who has always had “wanderlust” and pursued her dreams with passion and determination. Toni was an excellent student, both in and outside the classroom and always sought opportunities that challenged her imagination. She took up horseback riding, cello and bass fiddle lessons and begged me to take her to the Meadowlands for the World Federation of Wrestling. In high school, she was motivated to organize a Special Olympics program sponsored by her high school and agreed to be flag bearer for the band so she could go to Disney World and march on Main Street. She traveled to Europe in a study abroad program, and in college she was a White House intern during one summer. She wrote for Loose Change, a newspaper sold by the homeless/street people in the Cambridge community, and while enrolled at Harvard spent half her junior year in Ghana, studying and volunteering at a nutrition center for pregnant women. After her first year at Yale Law School, Toni discovered a program that would pay the same as a summer internship in a law firm. The program allowed her to travel abroad for “community service.” She spent half her summer in India, working for the Women’s Southeast Asia Peace Organization, that documented atrocities against women, and the other half summer was spent on an “Indian Reservation,” in North Dakota, where she was trained to represent Native Americans in court. It was in North Dakota, where the dream catcher pictured at right caught her eye, and she shared it and her dreams with her parents. There are also RCC alums for whom no dream is too big. The following are students who have graduated and who continue to pursue their dreams and do good works. Elizabeth Baker is a 2004 graduate of RCC’s honors program, and an honors graduate of the University of Vermont, 2006. She is the daughter of Bill and Didi Baker and grew up in the science labs at RCC. Her brother, Dr. Kristopher Baker, still hangs out there. In 2008 Elizabeth began the pursuit of her lifelong dream and enrolled in the Veterinary Medicine Program at The Ohio State University. Elizabeth received her “White Coat” last spring and began her final clinical rotations. 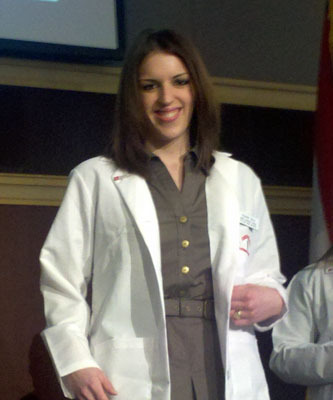 In June she becomes Dr. Elizabeth Baker, DVM. Tarik Abdelqader is a 2009 RCC graduate. 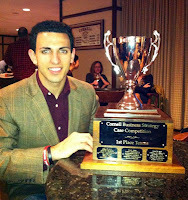 His email at the bottom reads, “Tarik N. Abdelqader, Cornell ILR, Undergraduate Student. From Diversity, Comes Strength." Tarik is a great believer in the American Dream. He played high school football and was President of the Student Government Association. He was also actively involved in the Water Justice Alliance. He is an entrepreneur who hopes to own his own business. 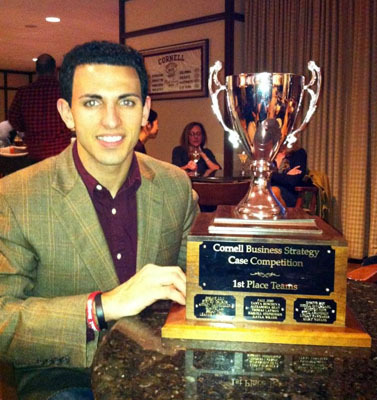 Tarik is pictured here with the trophy he received recently from Cornell as he received First Place in the Cornell Deloitte business Strategies Case Competition. Three big dreamers pictured here are; RCC graduates Robert Chapklin ’09, Mark Svensson ’10, and Marvin Mathew ‘10. Mark and Robert are at Georgetown University and Marvin is at the University of Maryland. Marvin, a former RCC Student Government Association President, was recently selected as one of only 100 from Opportunity Nation, a campaign to promote opportunity, social mobility, and access to “The American Dream.” Mark, also a Student Government Association officer, was also a USA Today All American Scholar. In addition to his outstanding academic record, Mark involved himself in a number of highly successful community service projects and continues that work today. Next week he returns to Rockland to promote literacy through reading program for Rockland 21C. 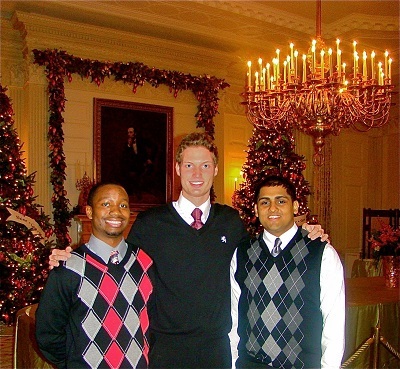 Mark has also been actively involved in President Obama’s High School Round Table Initiative and writes for a White House blog. Cliff L. Wood, President, RCC. 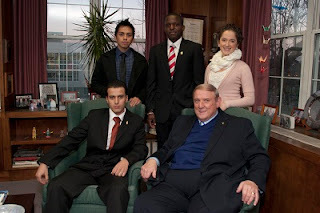 I share this picture with this year’s Phi Theta Kappa National Honor Society Officers. They too have dreams of success built on a foundation of civic engagement and community service. They have great plans for RCC’s chapter of Phi Theta Kappa which will give them a step up to the “American Dream.